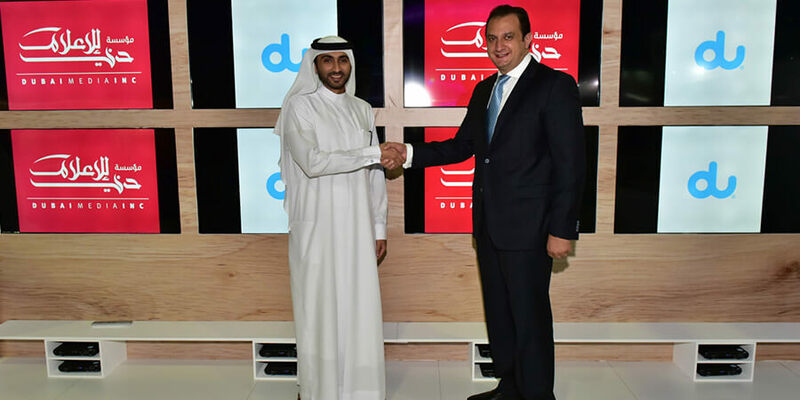 UAE telecom brand du, part of Emirates Integrated Telecommunications Company (EITC), confirmed that it will be working to revitalize its FM Transmission Platform provided to Dubai Media Incorporated (DMI). The announcement came during the Dubai-based satellite and broadcast expo CABSAT 2018, held at the Dubai World Trade Centre. du will be supporting DMI with the update and upgrade of its previous system provided by the telco, whilst simultaneously renewing it; this includes revising and widening the coverage, and increasing the power to the system. "We are pleased to announce that DMI has renewed their trust with du for the provision of their services," said Fahad Al Hassawi, Deputy CEO of EITC. "We offer a best-in-class FM transmitter system, which uses the latest, and most innovative technology on the market. du is seasoned in providing high quality end-to-end media solutions, which include radio services, and so we are confident in our expertise and ability to seamlessly support DMI with this project." Saleh Lootah, Deputy CEO of Technical Support, DMI, said, "At DMI we are committed to our viewers and ensuring that they have the best broadcasting experiences with us, on the radio and on TV. Therefore, as part of our efforts to enhance their experiences with us, we have partnered with du that will assist in upgrading the FM Transmission Platform and services provided to us. This, we believe, will further enhance our viewer's overall services with us as an organisation." During the event, du also demonstrated its managed broadcast services, and its integrated suite of satellite, fibre networks, media asset management and over-the-top (OTT) solutions for high-quality management and distribution of content. The provision of such services is enabled by du's world-class Teleport in Jebel Ali, Dubai, for which it was lauded with a Tier 3 certification under the World Teleport Association's (WTA) Teleport Certification Program, the only teleport in the Middle East region to receive this prestigious certification.